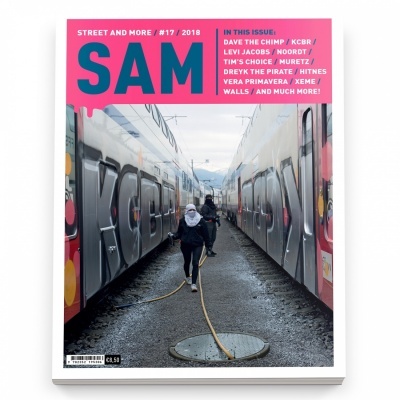 Issue 17 is out now and is fresh as a summer morning! We have once again composed an attractive mix of the good, the bad and the ugly. Highlight this issue is a short interview with the Swiss ladies from KCBR who prove James Brown right when he said it’s a man’s world, but it would be nothing without a woman. Damn right! They added trainwriting to the top ten list of things Switzerland is famous for and it looks like they have no intention of stopping until they get enough. One way or another!